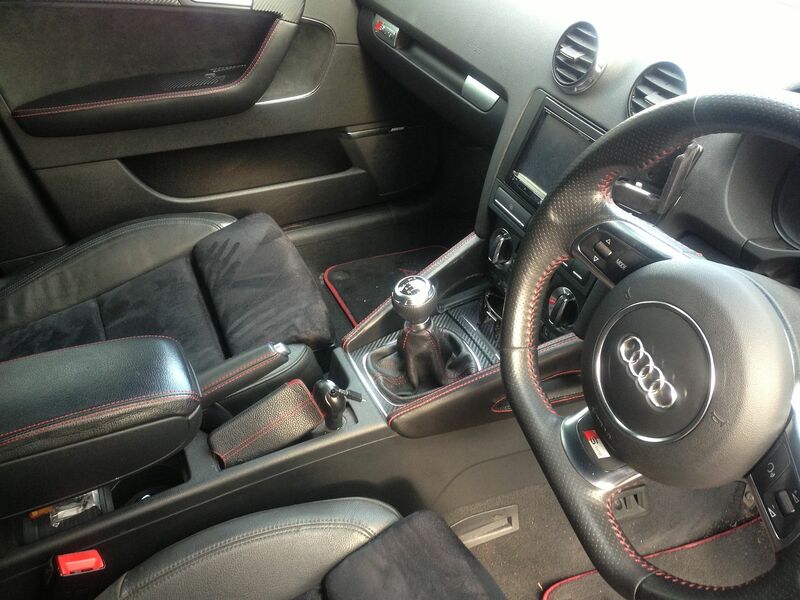 Ash.Net: Audi A5 Heated Leathers... In My A3! 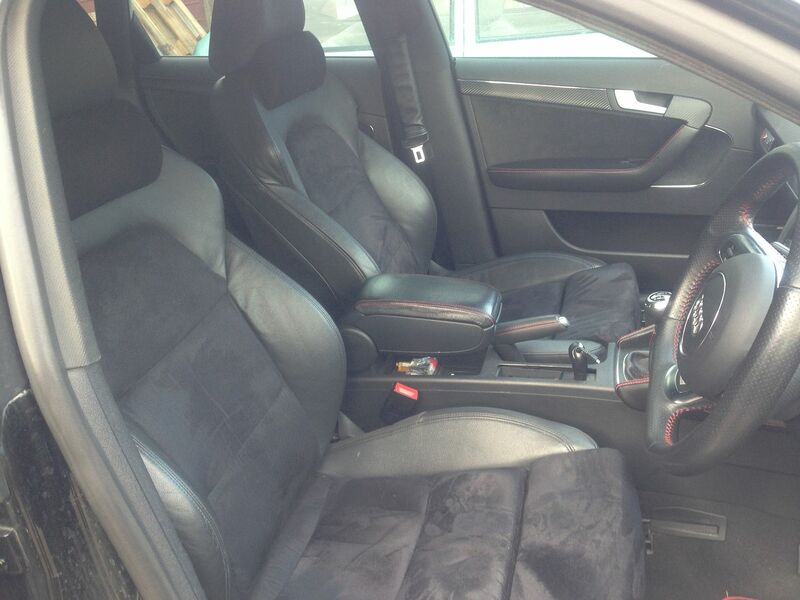 Audi A5 Heated Leathers... In My A3! Although I completed this mod several months back I haven't had the time to just sit down and write it up... Being swamped with work, working on customer cars and I finally tied the knot, I got married... yes she has made an honest man of me! 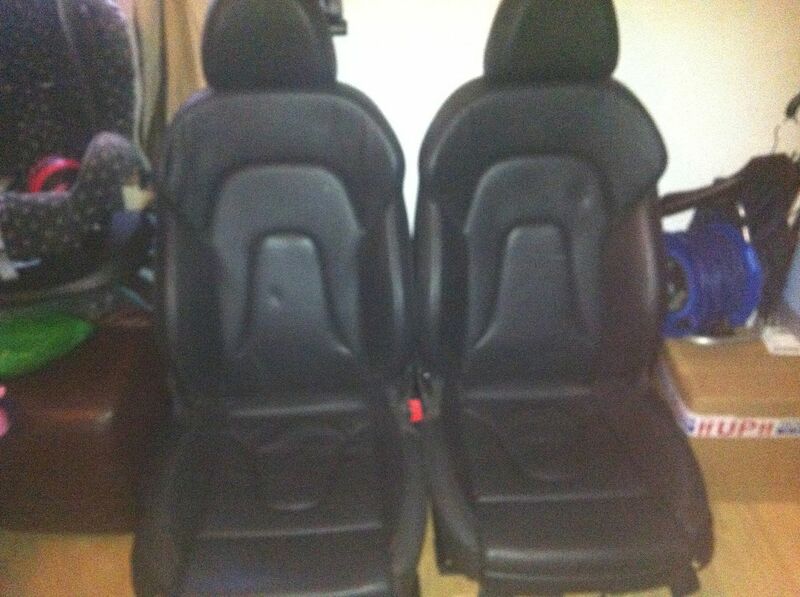 So after some good negotiating I managed to get the seats as a payment for fitting the other seats he bought into his car. Now as my original seats are half leather with Alcantara centres which I prefer, I wanted the A5s to look the same so I took them up to a retrimmer recommended to me by another friend near Birmingham and had them redo the centres to Alcantara in the A3 style. While I was there I dropped in a few other bits to get wrapped in leather. Unfortunately I didn't get any pictures when I collected the bits, but I did manage to get pics when I was working on them. 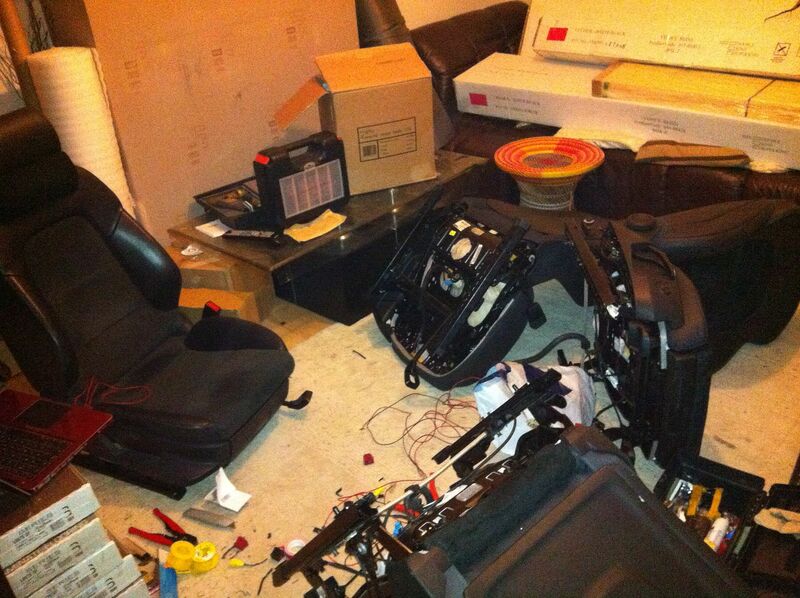 Here are a couple of pics while I was rewiring the seats to fit the A3 plugs in my car. Half Leather A5s with Electric Lumbar and Extendable Knee Pads. 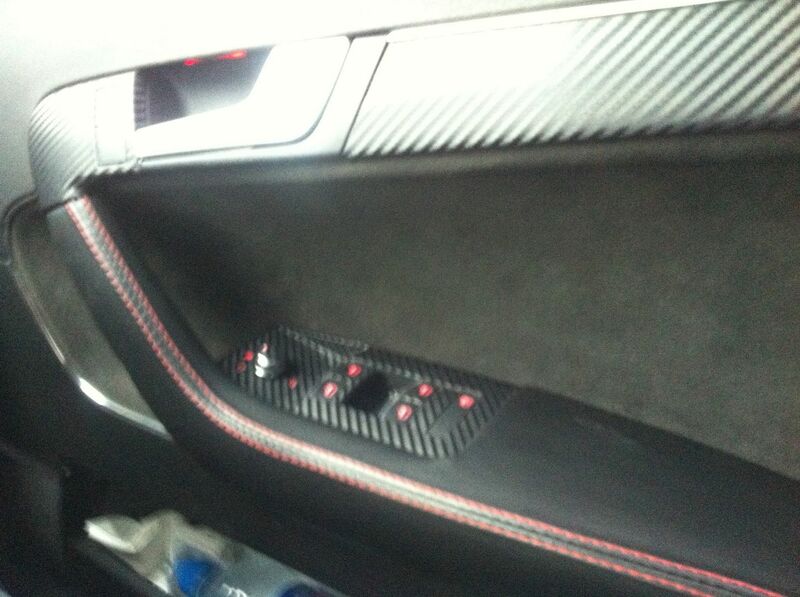 The seats feel lovely to sit in and the other red bits really set the interior off nicely! However there was one thing that I was really disappointed with... You see when I was given the seats I was told that they were heated, however when I gave the seats to the trimmers I was told that these seats do not have the heated elements inside them which was a major set back. 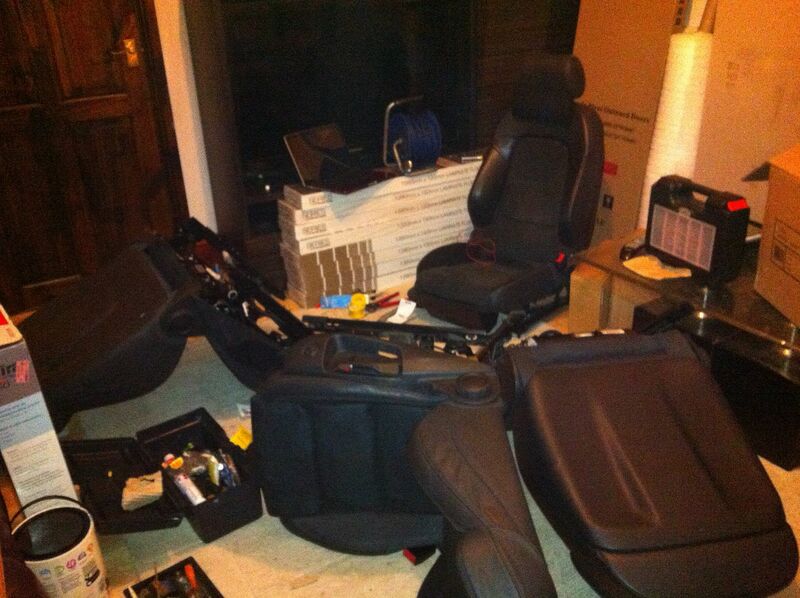 By the time I got the seats back from the trimers winter had already started... 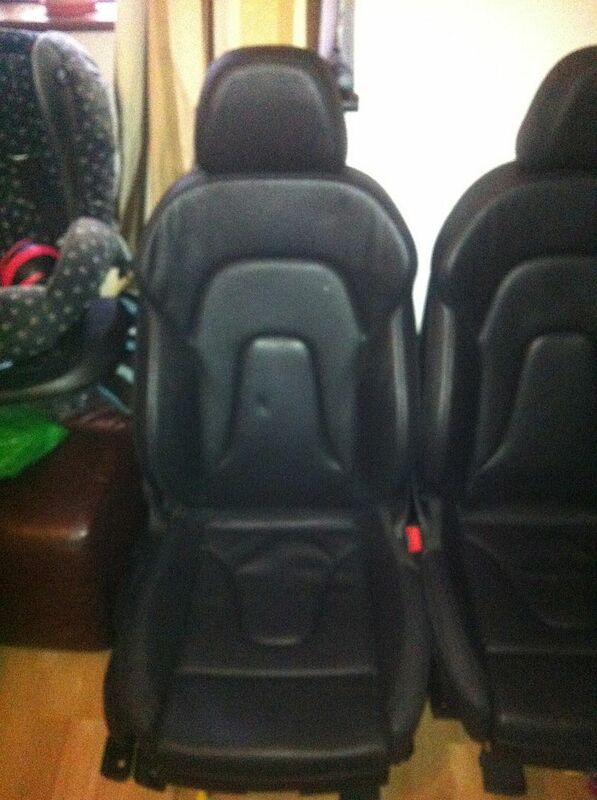 I managed fit the seats in by the end of Jan 2013. I really wanted the heated seats so I started looking into the cost and job of getting the heated elements and fitting them into the existing A5 seats I had. 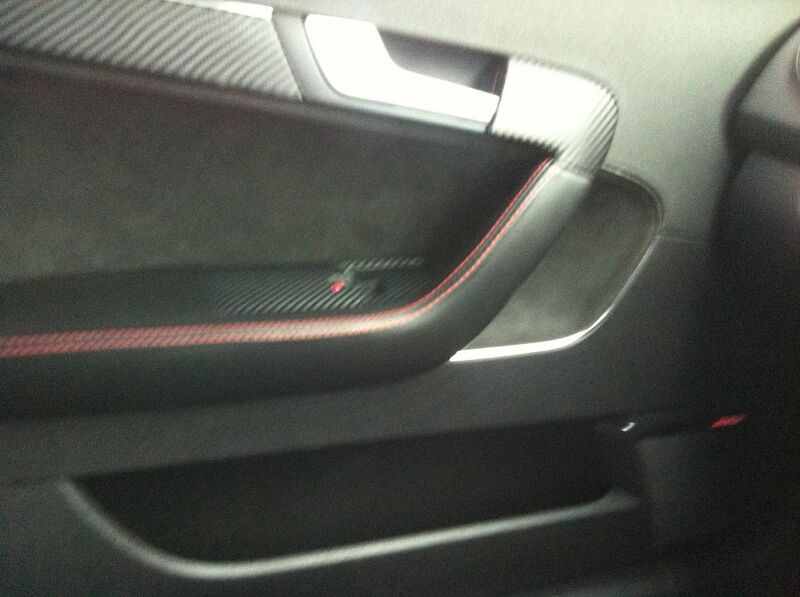 I could swap the alcantara covers over to the new seats but the wiring would need to be redone which is actually a real pain in the backside. 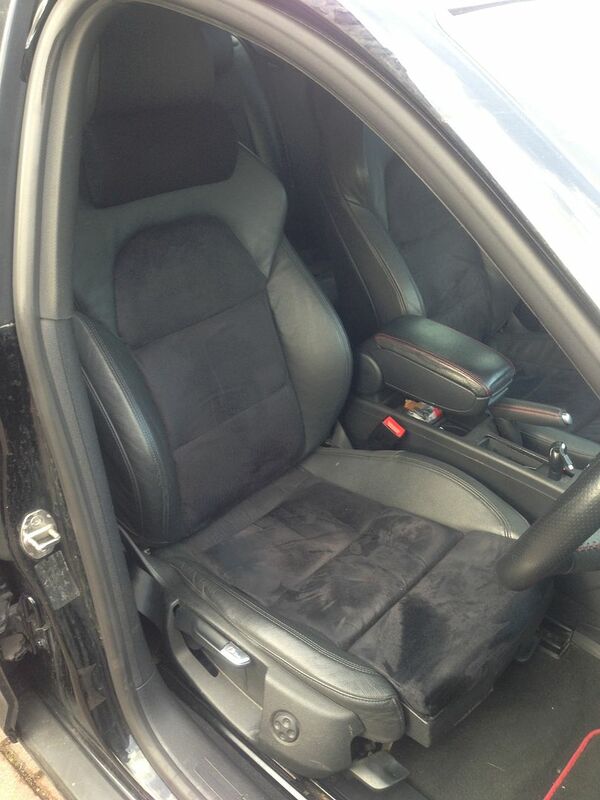 By the time I got the money together and found a set of heated seats, summer had arrived which worked out ok as I managed to buy the seats for an absolute steal! 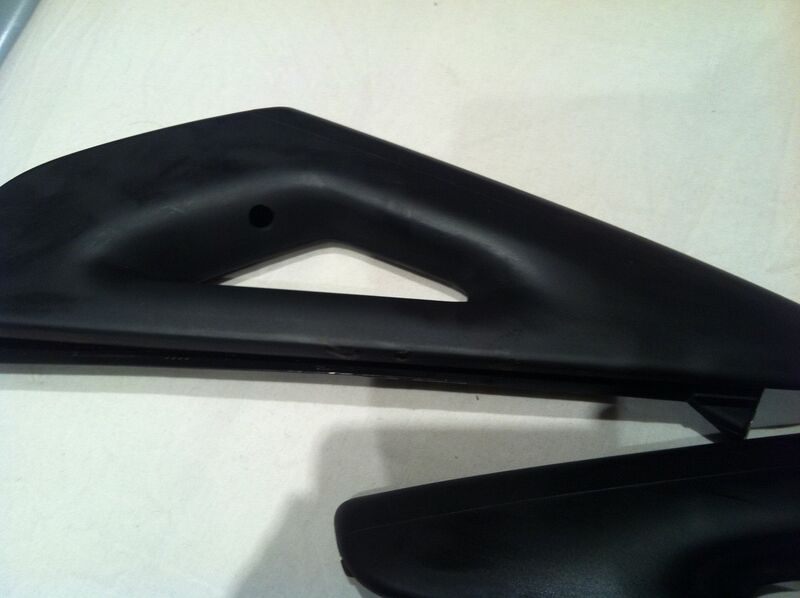 The seats I picked up were from a 3 door A5 which proposed a new problem... 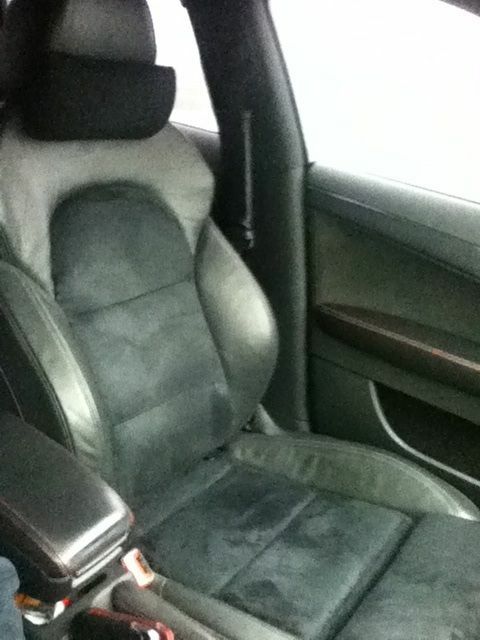 The Alcantara covers from my original Sportback A5 seats won't fit the heated seats I now had. 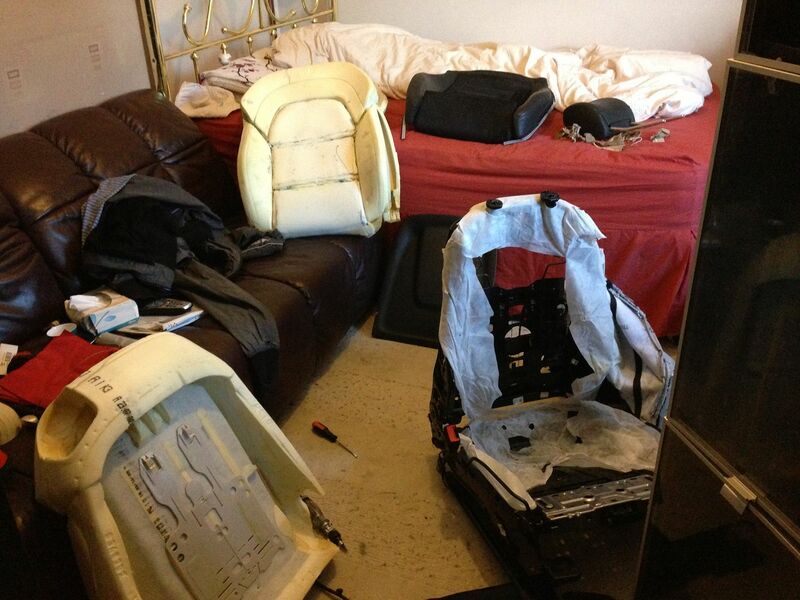 So instead of swapping the seats over I decided to strip the seats down and take the heated elements out and fit them into my seats... this is no task for the weak hearted! I didn't get any pictures while I was installing the heated switches or the wiring that was needed in my car to get the seats to warm up. Between my full time job and working on customer cars, It took me around 6 weeks to strip the seats and get the heated bits working. I had completed the heated seat upgrade in September, just in time before the weather started getting cold and horrible.